The new Premier League season under a new head coach for the first time in 22 years looks to be a tough transition for Arsenal. New head coach Unai Emery posted his third consecutive win as Arsenal boss, when Arsenal narrowly overcame Newcastle 2-1 at St James’ Park. Over the course of Arsenal’s five opening Premier League games under Unai Emery, it has become apparent that the side are struggling to adapt to the Spaniard’s style of play. Varying factors from passing the ball out from the back to building meaningful attacks, has seen the North London side struggle. 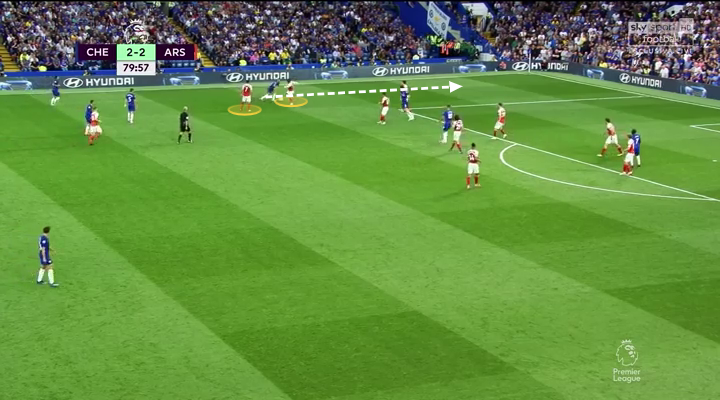 In this article, I will look at five areas Arsenal will have to improve if they are to achieve their targets for this season. Petr Cech – Old Dog, New Tricks? Arsenal’s problems this season start right at the back of the pitch. Veteran goalkeeper Petr Cech has seemingly struggled with the ball at his feet, a key step in Emery’s plan in making Arsenal play the perfect football. Numerous mistakes in each of the opening five games of the season have alerted opposition teams to an obvious weakness in Arsenal’s game. The Czech international came out firing pre-Newcastle claiming that “people were only focusing on two out his 166 passes made so far this season.” Whilst Cech was correct statistically speaking, his problems are clear to see for everyone watching each of Arsenal’s opening five games. Petr Cech’s problems began against champions Manchester City, when he almost scored a bizarre own goal after a back pass from Matteo Guendouzi. 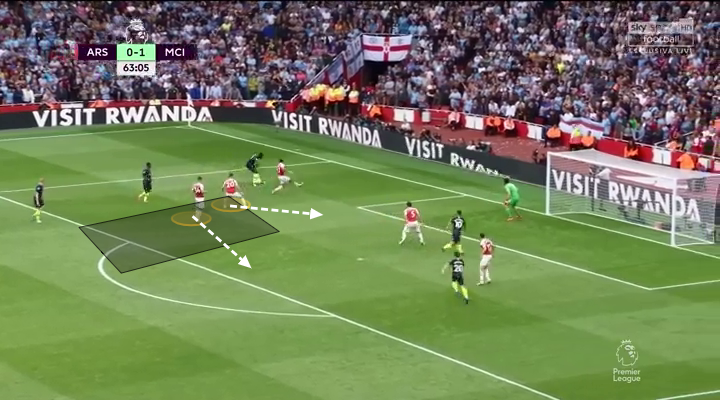 High pressure from Manchester City’s forward line along with a backpass from Guendouzi meaning that Cech was panicking in his attempts to clear the ball. The 35-year-old narrowly escaped an embarrassing moment with his attempted pass to Shkodran Mustafi going just past the far post and out for a Manchester City throw in. The escapades continued from Cech and Arsenal’s backline during games against Cardiff and Newcastle, where Cech narrowly escaped conceding embarrassing goals and corners due to a lack of confidence in his passing ability. 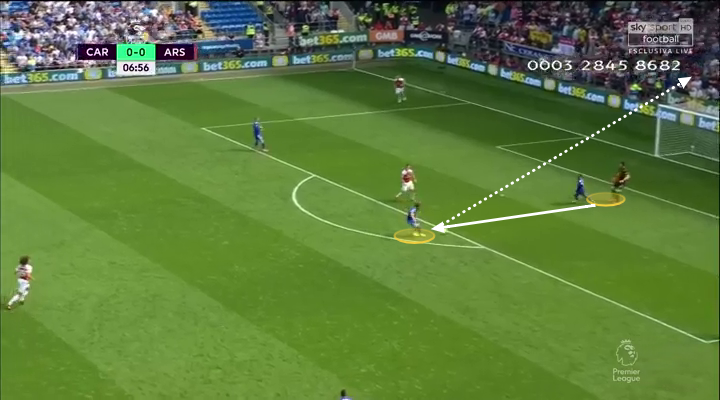 Cardiff, saw the biggest of Cech’s mistakes so far this season, when he inadvertently passed the ball to on-loan Cardiff midfielder Harry Arter right outside Arsenal’s very own 18-yard box. Cech was let off when the Irish International’s shot was sent horribly over the bar. Most recently against Newcastle, Cech sent another ball behind for a corner, due to another hesitant pass, when under pressure from the Geordies forward line. However, whilst Cech is seemingly struggling to get to grips with Unai Emery’s new style of play, the veteran did lead the Premier League goalkeepers in shots saved before the international break, with 16, showing he still possess the old fashion traits needed to make a top-class goalkeeper. The clear and obvious solution would be to bring Bernd Leno into the team, replacing Cech. The German goalkeeper was brought in to modernise Arsenal’s style of play, so it remains baffling as to why he has not started as of yet for Arsenal. However, with Arsenal in UEFA Europa League action this coming Thursday, Leno looks set to make his full debut for Arsenal. Amongst one of Arsenal’s biggest problems this season is the lack of defensive discipline from both full-backs, Hector Bellerin and Nacho Monreal. Even five games into the new season, it is clear to see that both Bellerin and Monreal struggle with basic defending down their respective flanks. A lack of help from the prominent wingers Henrikh Mkhitaryan and Mesut Ozil hasn’t helped both the Spaniards, with both defenders often caught one-on-one during opposition attacks. Arsenal have constantly found themselves conceding goals from wide positions this season. The most notorious goal coming from Marcos Alonso in Arsenal’s 3-2 defeat at Stamford Bridge this season. Look at Bellerin’s defending, one-on-one versus Hazard. After a poor pass from Alexander Lacazette, Spaniard Hector Bellerin found himself beaten way too easily down the right by Belgian Eden Hazard, who in turn, set up Alonso for the winning goal. 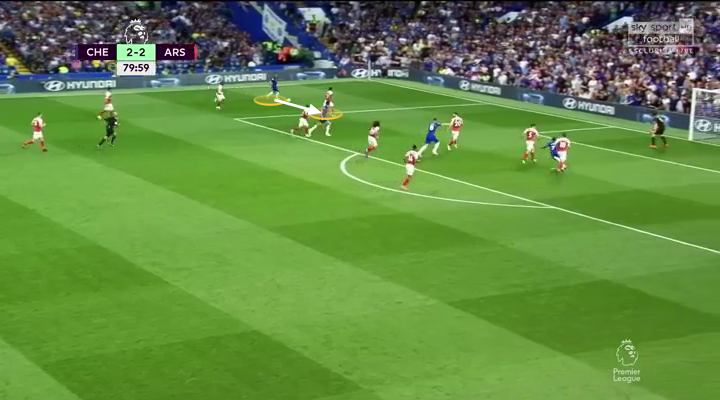 Bellerin’s positioning is all wrong, as he affords Hazard far too much time and space to be able to run at himself and cross the ball for Alonso to score. This goal also demonstrated Arsenal’s other problem this season, a lack of help from the winger playing down the wing. Having not kept a clean sheet in their opening four games of the season, Arsenal were three stoppage-time minutes away from achieving that feat. However, yet more poor defensive know-how from the Arsenal defence, especially the full-backs, meant Arsenal conceded their ninth goal in just their fifth game. Detailed analysis of Newcastle’s goal scored against Arsenal. Once again, an Arsenal full-back has left too much space out wide and allowed an opposition player to cross the ball into the box first time. Monreal should do more to stop Federico Fernandez from crossing the ball by closing him down quicker. Mustafi and Sokratis are also at fault for not realising that there are two Newcastle players behind both of them. 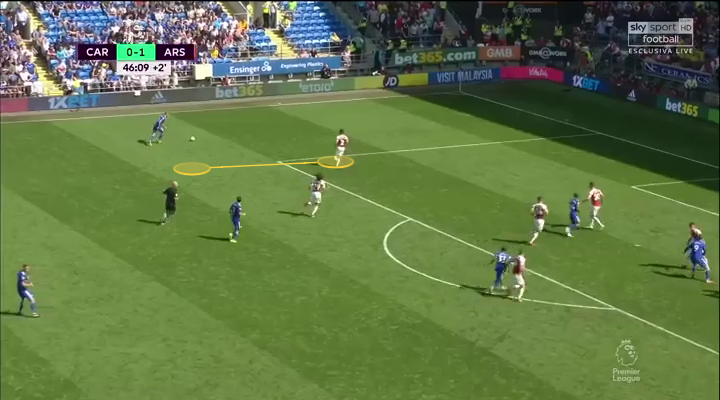 However, Bellerin, along with Monreal, holds a large portion of the blame for leaving his right-back area completely free, which gave two Newcastle players at the back-post the space to run into. With the purchase of Stephan Lichsteiner, on a free, and the quick return of Sead Kolasinac from injury, Arsenal have two ready-made replacements at left-and-right-back. 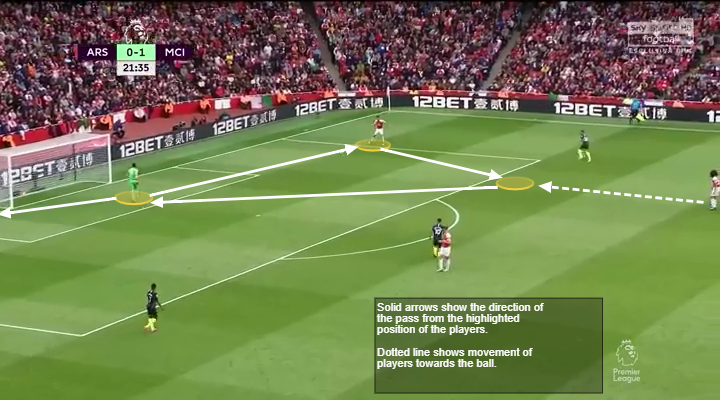 These are viable solutions for Emery, should Arsenal keep conceding from wide areas, and he loses patience with Bellerin and Monreal. Both possess strength, that Bellerin and Monreal lack, so should be great in the air when crosses come in from the wide areas and set pieces. In Lucas Torreira and Matteo Guendouzi, Arsenal posses two young and quality midfielders, both with different traits. During the opening five games of the season, Arsenal have shown the same noticeable weakness that has plagued the club since the departures of Patrick Vieira and Gilberto Silva, a lack of strength in front of the defence. This has exposed both Mustafi and Sokratis and has unsurprisingly, seen the club concede nine goals from just five games. Matteo Guendouzi has started all of Arsenal’s Premier League games so far this season, and has impressed in all. The 19-year-old French wonder kid is the first teenager to start these many games in a row since Johan Djourou, almost 12 years ago. His height and build makes him the ideal person to hold in front of Arsenal’s defence, and he has shown this, winning the ball back and carrying it through midfield to start Arsenal attacks. The French youngster has also shown he has the technical ability to pick out a pass, shown in the graphic below vs Chelsea. 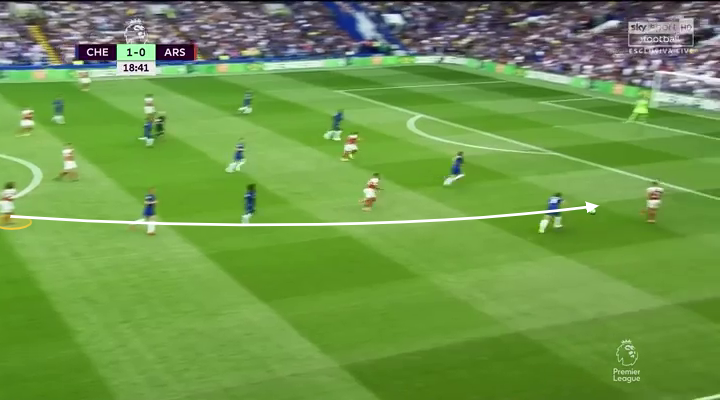 Guendouzi playing a stunning through ball through to Bellerin, versus Chelsea. In Lucas Torreira, Arsenal have snatched up their own “N’Golo Kante”, a midfielder who’s small in stature, yet strong and tenacious in challenges. The little Uruguayan impressed during the World Cup, starting all but one of his country’s games, and has so far impressed in his brief Arsenal substitute appearances. The Uruguayan has come on as a substitute in Arsenal’s last three games, two of them at half-time, seeing Arsenal over the line for victories in all three. A deeper look into Torreira’s statistics for the 2018/2019 season. Including: Newcastle, Mexico, Cardiff, West Ham, Chelsea, Manchester City (from the top going down). (Source: WYScout). The statistics listed in the above table show just how important Torreira can be for Arsenal. 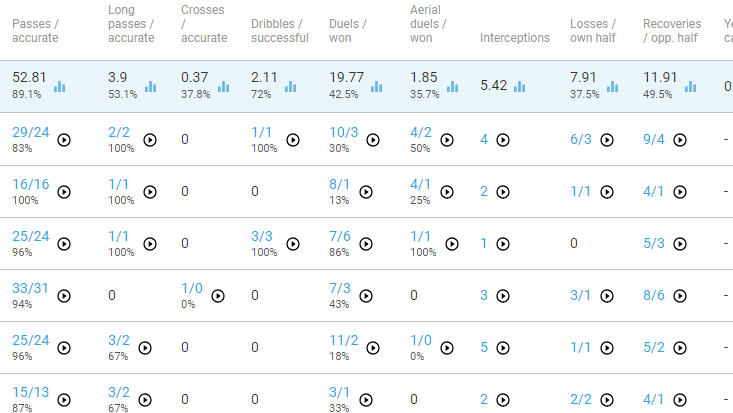 For example, despite only coming on at half-time at Saturday’s game against Newcastle, Torreira still made 11 ball recoveries, the fourth highest in the Arsenal side and only six less than Xhaka, who played the entire 90 minutes. This stat underlines just how important a player of Torreira’s caliber is Arsenal and how important he can be for their midfield. Despite Guendouzi’s form in all five games so far this season. Torreira’s strength and tenacity are required in Premier League games. His inclusion from the start is key if Arsenal are to sure up their defence, as well as achieve their targets for the season, which is to qualify for next season’s UEFA Champions League. The 2017/2018 season seemed to be an iconic moment in Arsenal’s recent history, four almost regular first-team players were moved on, either because they didn’t want to be there or due to a lack of quality. Olivier Giroud, Theo Walcott, Alex Oxlade-Chamberlain and Alexis Sanchez were sold to fellow Premier League clubs, with three of the four, Alexis, Chamberlain and Walcott being wingers. Despite the acquisitions of Pierre Emerick-Aubameyang and Henrikh Mkhitaryan in January, Arsenal looked incredibly light out in the wide positions. The worries soon became realities as Arsenal went on a horrendous run, finishing outside of the top four for a second consecutive season and therefore not qualifying for the UEFA Champions League. Arsene Wenger was the ultimate victim of a second consecutive Champions League-less campaign. Fast forward to the 2018/2019 season and Arsenal still possess no full-time wingers, with even youth team players being either sold or loaned abroad, in what looks a stunning move by the club. 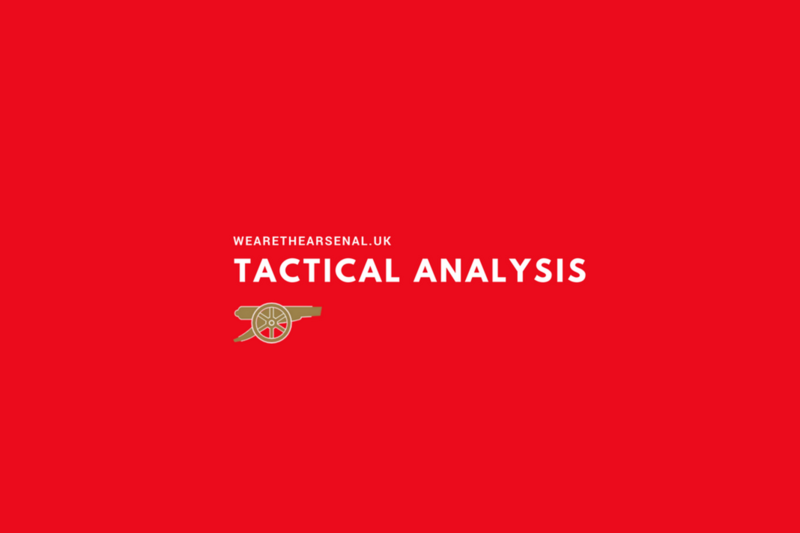 With Mesut Ozil, Henrikh Mkhitaryan, Alex Iwobi and Pierre Emerick-Aubameyang sharing the responsibilities out on the flanks, Arsenal are looking quite shaky, conceding more than 50% of their goals from wide areas. 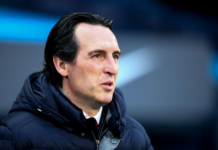 Goals in games against Manchester City, Chelsea, Cardiff and Newcastle have all come from wide positions, highlighting a serious lack of natural width for Unai Emery. Out of the four goals pictured above, only the Newcastle goal featured a winger in Mkhitaryan attempting to help out in stopping the ball being eventually crossed. In the other three instances, there was either no winger, a poor attempt at stopping the man on the ball or static ball-watching. All these reasons combine to provide enough proof that Arsenal will not progress any further, if they don’t acquire a winger in the foreseeable future. The obvious solution would be for Emery to acquire a winger in the upcoming January transfer market to give a better balance to the side, or to recall Reiss Nelson from his loan spell at Hoffenheim. Lone Striker – Lacazette or Aubameyang? The fifth and final problem that faces Emery is most likely the hardest to solve. 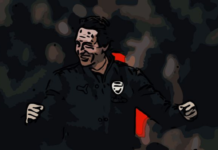 Arsenal possess two top quality finishers in Lacazette and Aubameyang, so having to find space for both of them is proving a difficult feat for Emery. Aubameyang started the first two games of the season up front, however, floundered in front of goal. The Gabon star’s most prominent miss came from just six yards out away to Chelsea, a miss that shocked many, including Chelsea fans themselves. After scoring 10 goals in 13 Premier League games last season, Aubameyang has just one goal in the opening five this season. The 29-year-old was soon shifted out to the left after promising performances from Lacazette caught the eye of Emery, who soon realised that the two posed a bigger threat when played together. With one goal and one assist in his three starts, this season, Lacazette has been one of Arsenal’s consistent players. His runs and endless energy have been proving to be too much for the defences of West Ham, Cardiff and Newcastle. Lacazette has provided something new that Arsenal haven’t seen over the last few years with Olivier Giroud, and that is a threat down the wings. His ability to run the channels and get Arsenal out of trouble, along with his constant runs in behind, have been a reason why Arsenal have provided a more fluid attacking display in front of goal, recently. This is a problem that will give Emery sleepless nights. Does he sacrifice Aubameyang’s striking abilities by playing him on the left? or does he leave an in-form Lacazette on the bench? I firmly believe he should ponder the idea of playing two up front, with both Lacazette and Aubameyang supplying the goals up front, with Ozil in behind creating, Arsenal are sure to kick on and grow stronger as the season goes on. To play two up front, Arsenal would have to go for a 4-3-1-2 formation, meaning Arsenal would still posses the three men in midfield, a key for the Gunners to stop them getting overwhelmed when being attacked by opposition teams. Leaving Aubameyang on the wing will only cause troubles and his lack of knowledge of playing on the wing will harm Arsenal, and will only see the North London side concede more goals from wide positions. Hi. My name is Muhammad Uways Nisar. I am a 22-year-old recent Sports Journalism graduate from South West London.